Tiffen 40.5mm Circular Polarizer Filters - Light rays which are reflected become polarized. Polarizing filters are used to select which light rays enter your camera lens. They can remove unwanted reflections from non-metallic surfaces such as water or glass and also saturate colors providing better contrast. The effect can be seen through the viewfinder and changed by rotating the filter. The filter factor varies according to how the filter is rotated and its orientation to the sun. 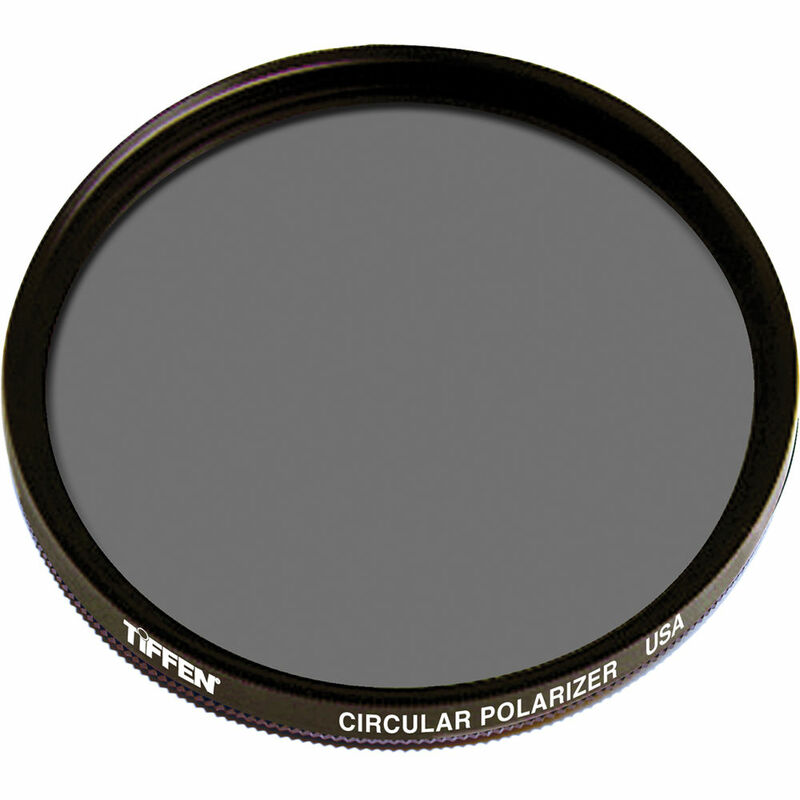 Box Dimensions (LxWxH) 3.465 x 2.913 x 0.63"
40.5mm Circular Polarizing Filter is rated 4.7 out of 5 by 29. Rated 5 out of 5 by Dad now Soccer Photojournalist from Excellent Polarizing filter for Olympus TCON-1 for TG series Have used this filter for sports-action photography specifically soccer. Found it enriched colors giving them vividness that was lacking when using the TCON lens and Olympus TG4. It was used in late afternoon bright sun and the pictures were clear, sharp, and for the price I'd highly recommend this filter. I found the filter a little difficult to unscrew; but, have managed by making sure to get a hold of the v-grooved section of the ring. I'd like to try a large O-ring over the top of this v-grooved section to see if it makes it easier to unscrew. Overall I'd recommend especially for the price and performance. Rated 5 out of 5 by Jana from Filter for Sony NEX-6 Bought this filter for my new Sony NEX-6 and took it to South Africa, worked very well in both sunny and cloudy conditions. No problems. Rated 5 out of 5 by creditman77 from Cuts Glare! Bought this to take photographs of exhibits at the natural history museum. Since everything is behind glass, and there are a lot of light sources, the reflections were having a negative impact on the final photo quality. But not any more with this Polarizing filter! Rated 5 out of 5 by Sagi from Great filter After some bad experiences with circular polarizing filter I was a bit skeptical when buying this one. Despite all that I choose a cheaper one but its performance is really amazing. It produces sharp images while also protecting the lens. Rated 5 out of 5 by Tulio M. from Amazing filter..I would buy again... This filter are very useful when I use to take pictures with my sons at the pool, taking pictures around water places.. I can take very cool pictures! Will this filter fit for Sony E-mount 16-50mm Lens? You chose well for indeed it will fit the Sony E-mount 16-50mm lens. Will this fit a Nikon 30-110mm lens for a J1? This filter will fit any lens with a 40.5 mm filter thread. Please refer to the specifications for your lens. What is covered by this warranty? What is NOT covered? According to Tiffen's site, their warranty covers defects in material and workmanship under normal conditions of use. does this rotate independently of the lens? I'm sorry but I don't have tiffen polarizers. I only use KSM C-POK MRC nano (XS-Pro) for quality reasons. Mine does rotate independently! Will this fit a Nikon 30-110 mm Lens for a j1? According to the NikonUSA site, yes. It says it is a 40.5mm screw on, which is what this is. As someone else said, it is just a matter of looking at the specs. A 40.5 screw on is a standard when it comes to cameras.